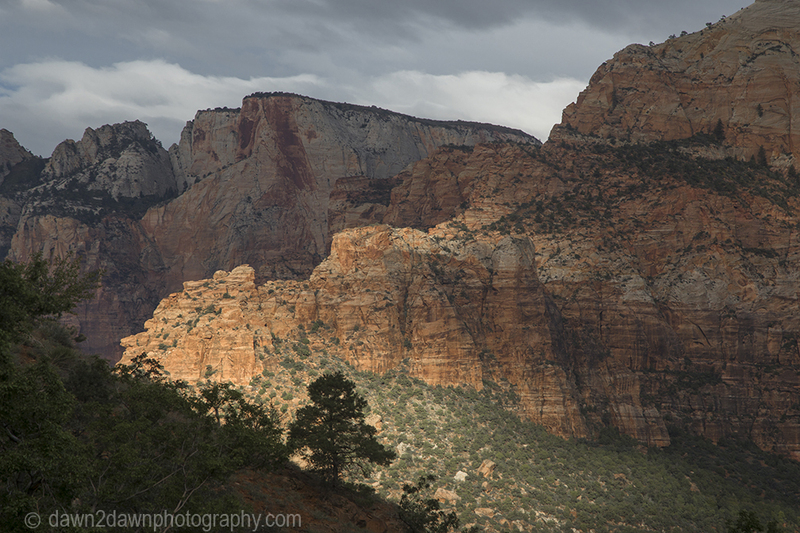 The light from a rising sun peeked through the random cloud formations at Zion National Park yesterday morning. 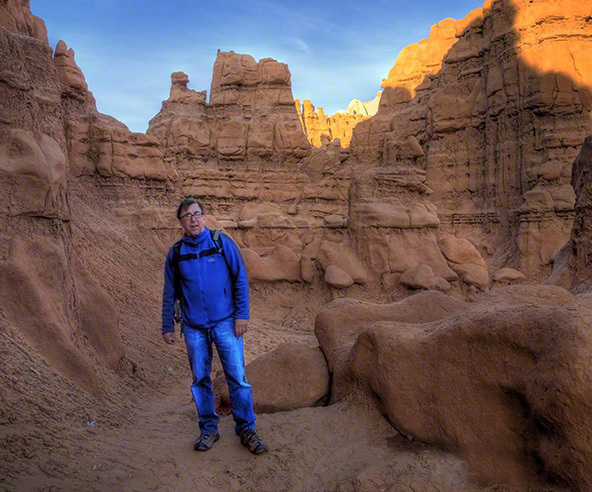 The filtered light helped to produce a soft but beautiful landscape. How are you? You need to join 500px. 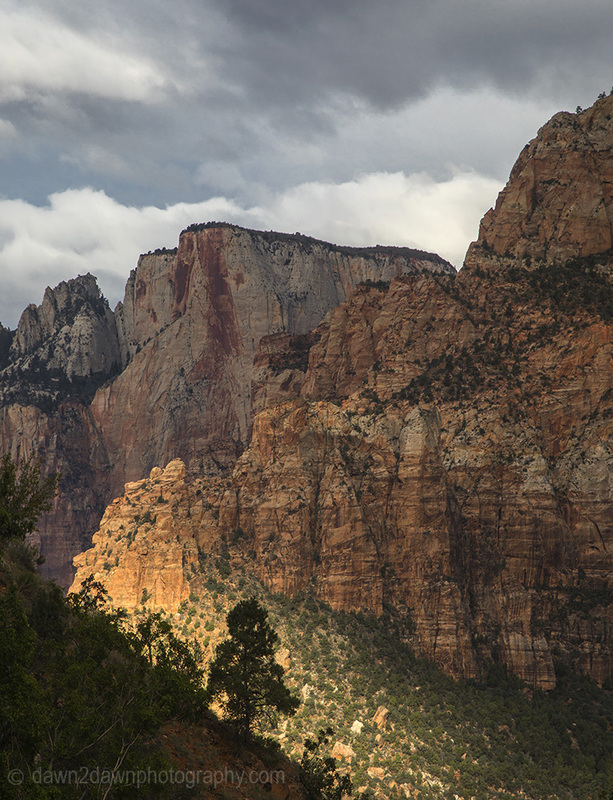 I have thought of you often and hope the summer crowds weren’t too much stress for you in Zion. Thanks Joan. Yes, the crowds were overwhelming and still are . I’ll check out 500px. I hope you, Callie and your family have adventurous travels! the light is indeed wonderful on this landscape. 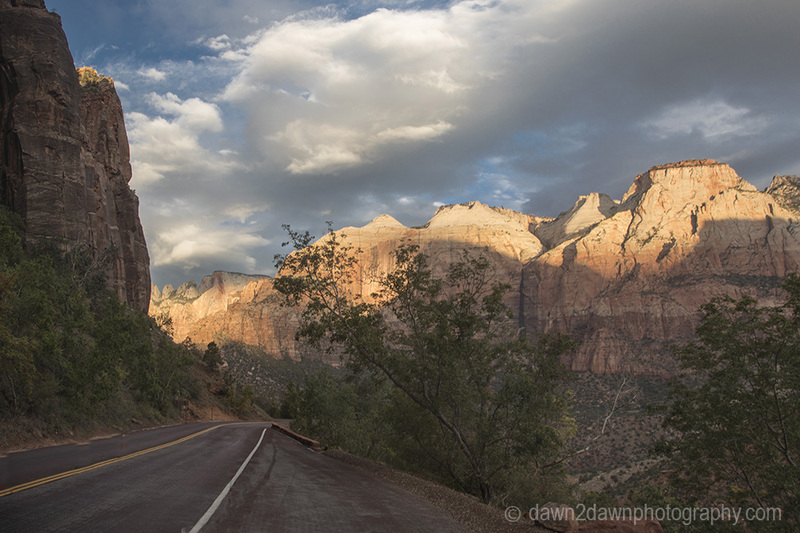 I have a preference for the third shot; the road is for many but also the mountains, clouds heavy with rain, nature. 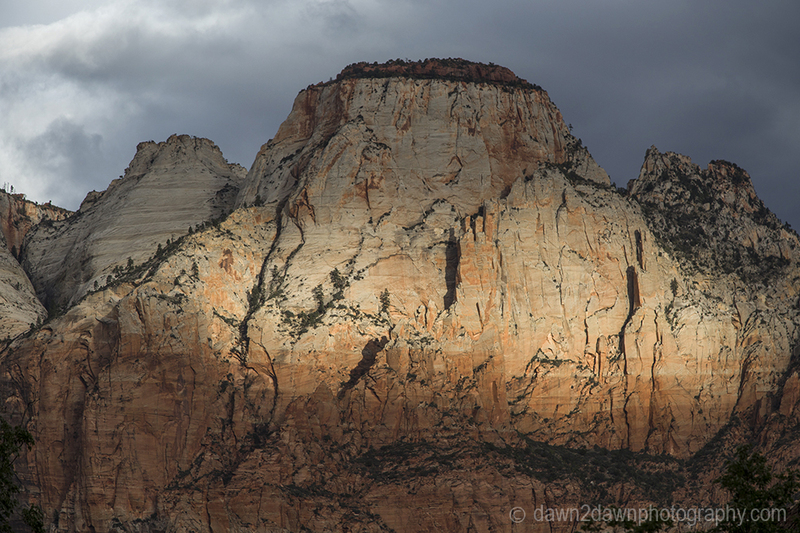 I love this kind of light in the mountains, when there’s only a little spot illuminated… looks magical! Great photos! !